Thinning algorithms are greedy point removal schemes for scattered data, where the points are recursively removed according to some specific removal criterion. 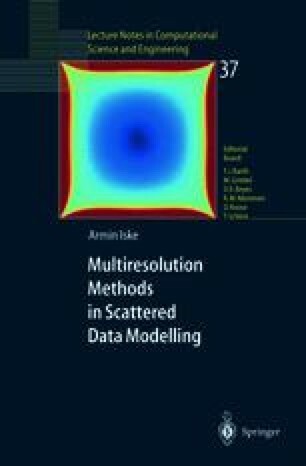 This yields a hierarchy of the input data,which is used for building a multi resolution approximation of a model object,a mathematical function. In general, thinning algorithms are therefore useful tools for model simplification and data reduction.